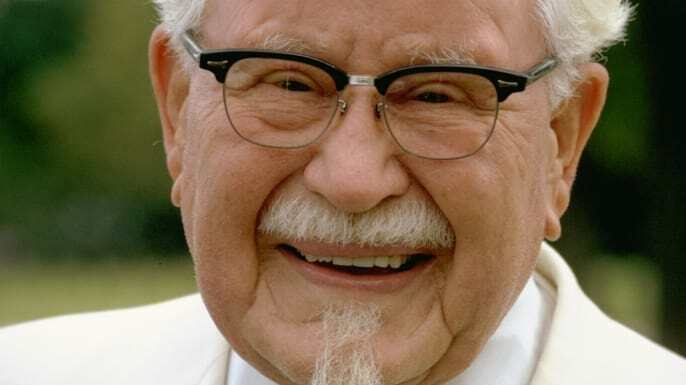 Having gorged ourselves on Kentucky Fried Chicken for a number of years, we’ve never stopped to think ‘do you know what, Colonel Sanders could really do with a makeover’. 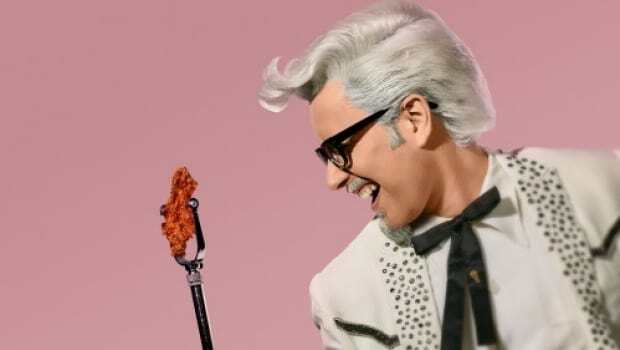 But KFC have decided to do just that, by re-imagining the colonel as a 50’s rock n’ roller. Though the result seems more hipster than rock star- clearly a ploy to make him a bit more relatable to the new generation of fried-chicken eaters. Vincent Kartheiser, who’s most known for his role as Pete Campbell on Mad Men, has taken up the role in the fast-food giants latest advertising campaign. “Like KFC’s Nashville Hot Chicken, I’m a bit of a rebel decked out in authentic Nashville flavor—a perfect combination of classic and cool,” Kartheiser said in a statement. So much cringe. Eat, chew, sing, play, repeat. Sporting the signature goatee, thick black-rimmed glasses and white suit, Kartheiser plays the Nashville Hot Colonel in an ad, showing a young woman swooning over one of the Colonel’s vinyl records. The fried chicken proprietor is taking advantage of the hottest new trend in fried foods, Nashville hot chicken, which is renowned for it’s sheer spiciness. This latest portrayal of The Colonel is just one of many since last years campaign where KFC resurrected him as the brand’s spokesperson for several new product launches. Whether it hits the spot with millennials everywhere remains to be seen.